A total of 34 arrests have been made since the beginning of an investigation launched in 2017 as a result of fentanyl overdoses in Montreal. 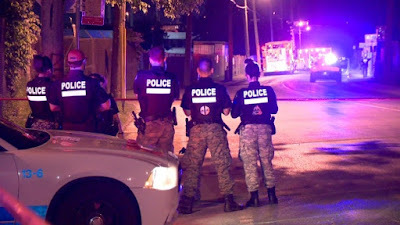 Montreal police worked with the police services in Granby, Quebec City and Laval and the Sûreté du Québec to conduct the raids. Cops seized 600,000 methamphetamine tablets, 5 kilograms of MDA, 50 pounds of pot, weapons and more than $120,000 in cash. 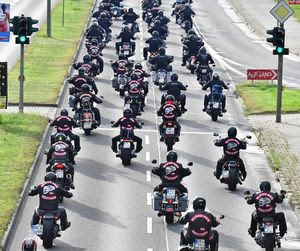 Four Quebec police forces targeted a criminal biker gang linked to the Hells Angels. 13 arrests were made in a series of raids. Reports say the operation is related to a string of fentanyl overdose deaths in Montreal. 11 raids were carried out in Montreal with two in Laval. 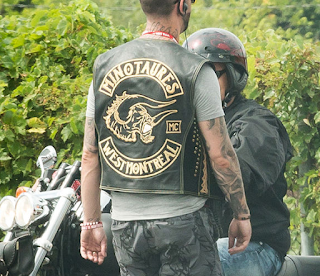 The Minotaures Ouest-Montreal is a puppet club of the Hells Angels. The connection of fentanyl trafficking to the Hells Angels doesn't sync with the club's apparent public stand against fentanyls.